09/01/17 BMW of north america, inc. (BMW) is recalling certain 2006 325i, 325xi, 330i, 330xi, 525i, 525xi, 530i, 530xi, and 550i vehicles equipped with the sport seat option and certain 2006 525i, 525xi, 530i, 530xi, 550i vehicles with standard seats. the front passenger seat occupant detection mat that determines if, and how, the passenger frontal air bag should deploy in a crash may fatigue and develop cracks which could lead to a system failure. 04/21/17 BMW of north america, llc (BMW) is recalling certain 2011-2012 135i coupe, 1 series m coupe and 135i convertible vehicles, 2011 z4 sdrive 35i, 335i, 335d, 335i coupe, 335is coupe, 335i convertible, 335is convertible, 535i, 535i xdrive, 535i gran turismo and 550i xdrive gran turismo vehicles and 2012 740i and 740li vehicles. the rear driveshaft constant velocity (cv) joint on the affected vehicles may fatigue and break. 03/15/17 BMW of north america, llc (BMW) is recalling certain 2000-2002 BMW 320i, 323i, 325i, 325xi, 330i, 330xi, 323ci, 325ci, 330ci, m3, 323it, 325it and 325xit vehicles, 2001-2002 525i, 530i, 540i, m5, 525it and 540it vehicles, and 2001-2003 x5 3.0i, x5 4.4i, and x5 4.6is vehicles. these vehicles may have had a driver-side air bag module installed as replacement equipment such as after a vehicle crash necessitating replacement of the original air bag, or as a remedy part for a prior recall. these replacement modules contain an air bag inflator that may rupture due to propellant degradation occurring after long-term exposure to lower absolute humidity, temperature and temperature cycling. 12/02/14 BMW of north america llc (BMW) is recalling certain model year 2014 BMW 328i xdrive sports wagon, 2012-2014 BMW 320i sedan, 328i sedan, 320i xdrive sedan, 328i xdrive sedan, 2012-2013 BMW 528i sedan, 528i xdrive sedan, 2013-2014 BMW x1 sdrive28i, x1 xdrive28i sports activity vehicle, 2013-2014 BMW x3 xdrive28i sports activity vehicle, 2012-2014 BMW z4 sdrive28i roadster, and 2014 BMW 428i coupe, and 428i xdrive coupe. due to insufficient lubrication, the vacuum pump that supplies brake power assistance may fail. note: this recall is an expansion of recall 13v-454. 08/29/14 BMW of north america llc (BMW) is recalling certain model year 2006 325i, 325xi, 330i, 330xi sedans and 325xi sports wagons, model year 2007 328i, 328xi, 335i, 335xi sedans and 328i and 328xi sports wagons, model year 2006-2007 525i, 525xi, 530i, 530xi, 550i sedans and 530xi sports wagons, model year 2006 760i sedans, model year 2006-2007 750i, 750li, and 760li sedans, and model year 2006 x5 sports activity vehicles, equipped with certain seat types. the front passenger seat occupant detection mat that determines if and how the passenger frontal air bag should deploy in a crash may fatigue and develop cracks which could lead to a system failure. 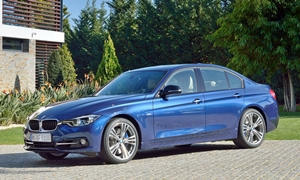 BMW will notify owners with an interim notification letter in january 2014 since parts are not currently available. when parts are available, BMW sent a second letter in august and dealers will repair the occupant detection mat to eliminate the possibility that it may crack, free of charge. additionally, owners of model year 2006-2007 3 series with standard seats, 5 series with comfort seats, and z4 models, will receive an extended warranty on their front passenger seat occupant detection mat. owners may contact BMW customer relations at 1-800-525-7417 or email BMW at customerrelations@BMWusa.com. 01/31/14 BMW of north america llc (BMW) is recalling certain model year 2012-2014 320i, 328i, 320i xdrive, and 328i xdrive sedans; model year 2014 328i xdrive sports wagons; model year 2012-2013 528i and 528i xdrive sedans, model year 2013-2014 x1 sdrive28i and x1 xdrive28i vehicles and model year 2012-2014 z4 sdrive28i roadsters. due to insufficient lubrication, the vacuum pump that supplies brake power assistance may fail. 03/13/13 BMW is recalling certain model year 2008-2012 1-series coupes and convertibles manufactured december 2007 through september 2011; and 2007-2011 3-series coupes and convertibles manufactured march 2007 through october 2011; 2007-2011 3-series sedans manufactured march 2007 through october 2011; 2007-2011 3-series sports wagons manufactured march 2007 through june 2011; and 2009-2011 z4 vehicles manufactured march 2009 through june 2011. in february 2013, BMW recalled 504,545 vehicles. in july 2013, BMW informed the agency that it was adding 1-series, 3-series, and z4 vehicles, representing an additional 12,094 vehicles. the total number of vehicles being recalled is now 516,791. the connector for the positive battery cable connector and the corresponding terminal on the fuse box may degrade over time. over time, the high current flow and heat from electrical resistance may lead to a breakage of the connection, and a loss of electrical power to the vehicle. 05/27/03 On certain passenger vehicles, the window lifting anti-pinching device might not function properly. Occupants could be pinched by a window that is being closed. Dealers will inspect, and if necessary, replace the electronic control unit for the window lifting anti-pinching device. owner notification began may 27, 2003. owners who take their vehicles to an authorized dealer on an agreed upon service date and do not receive the free remedy within a reasonable time should contact BMW at 1-800-831-1117. 10/04/01 Vehicle description: passenger vehicles. the two screws that secure the parking brake cable mounting bracket to the backing plate were not tightened properly. as a result, the screws could loosen and eventually fall into the parking brake drum. If this were to happen, the cable mounting bracket would no longer be fixed to the backing plate and the parking brake could no longer be applied on that side of the vehicle. it is also possible that a screw could lodge within the parking brake drum, impairing the free movement of the drum. this would produce noise, and could cause the parking brake on that side to lock up while driving. Dealers will replace the parking brake cable attaching screws and secure them with the proper torque. owner notification began october 4, 2001. owners who take their vehicles to an authorized dealer on an agreed upon service date and do not receive the free remedy within a reasonable time should contact BMW at 1-800-831-1117. 09/28/01 Vehicle description: passenger vehicles. the engine auxiliary/cooling fan operation, including variable speed, is electronically controlled. failure of the fan motor can cause the electrical circuitry of the fan control unit to overload and fail, causing the fan to stop operating. 12/31/69 BMW of north america, llc (BMW) is recalling certain 2008-2011 128i and 2007-2011 328i, 328xi, 328i xdrive, 525i, 525xi, 528i, 528xi, 530i, 530xi, x3 3.0si, x3 xdrive30i, x5 xdrive30i, z4 3.0i, z4 3.0si and z4 sdrive30i vehicles. the heater for the positive crankcase ventilation (pcv) valve may short circuit. 09/24/14 Engine BMW of north america, llc (BMW) is recalling certain model year 2010-2011 128i coupe, 128i convertible, 328i sedan, 328i xdrive sedan, 328i coupe, 328i convertible, 328i sports wagon and z4 sdrive 30i, 2011-2012 135i coupe, 135i convertible, 335i sedan, x5 xdrive 35i, and x6 xdrive 35i, 2011 335i xdrive sedan, 335i coupe, 335i convertible, 528i sedan, 535i sedan, 535i xdrive sedan, x3 xdrive 28i, and x3 xdrive 35i, 2010 x3 xdrive 30i, and x5 xdrive 30i, 2012 640i coupe, and 640i convertible and 2010-2012 535i gran turismo vehicles. in the affected vehicles, the bolts that secure the housing for the variable camshaft timing adjustment (vanos) unit can loosen over time and may possibly break. 01/14/16 Transmission and Drivetrain BMW of north america, llc (BMW) is recalling certain model year 2015-2016 m3 sedan vehicles manufactured may 30, 2015, to september 2, 2015, 2016 m4 coupe vehicles manufactured july 3, 2015, to september 11, 2015, and 2015-2016 m4 convertible vehicles manufactured may 29, 2015, to august 4, 2015. the affected vehicles have a driveshaft with a slip-joint that may not have been filled with grease. as a result, the slip-joint may fail over time. 10/14/11 Transmission and Drivetrain BMW is recalling certain model year 2011 328i xdrive and 335i xdrive vehicles manufactured from february 8, 2011, through july 29, 2011. the front driveshaft attachment bolts may not have been tightened to specification. if the bolts were not tightened to specification, they may become loose. 12/03/08 Transmission and Drivetrain BMW is recalling 2,500 my 2008-2009 m3 passenger vehicles with an optional double clutch transmission. the problem involves the double clutch gearbox. in a situation of rapid vehicle deceleration, the transmission software may perform a multistage downshift. In that situation, at low vehicle speeds, it is possible for the engine to stall increasing the risk of a crash. Dealers will reprogram the engine and transmission electronic control unit with updated software free of charge. the recall began on december 3, 2008. owners may contact BMW at 1-800-831-1117. 03/25/02 Brakes and Traction Control On certain passenger vehicles, a problem in the manufacturing process of the rear brake rotors may have resulted in the creation of a crack where the brake disc and the parking brake drum meet. further cracking of the rotor could occur due to braking torque when the vehicle is driven and the brakes are applied. the brake drum, connected to the wheel hub, would completely separate from the disc. 11/21/06 Suspension and Steering On certain vehicles, one of the suspension control arm and swivel bearing connection bolts was not tightened correctly. the bolted connection could loosen. 03/15/02 Suspension and Steering On certain passenger vehicles, during the strut mount manufacturing process, the thrust bearing was not properly positions and secured. if the suspension is fully unloaded, the front strut could separate from the upper mount. This could affect vehicle handling and control, increasing the risk of a crash. Dealers will replace both front spring strut upper mounts. owner notification began march 15, 2002. owners who take their vehicles to an authorized dealer on an agreed upon service date and do not receive the free remedy within a reasonable time should contact BMW at 1-800-831-1117. 03/15/17 Electrical and Air Conditioning BMW is recalling certain model year 2002-2003 325i, 325xi, 330i, 330xi sedans; 325ci and 330ci coupes and convertibles; 325it and 325xit sports wagons; and m3 coupes and convertibles to address a safety defect in the passenger side frontal air bag which may produce excessive internal pressure causing the inflator to rupture upon deployment of the air bag. BMW intends to issue initial notifications to owners informing them of the safety defect in june 2013. once replacement parts are available, estimated for july, BMW will notify owners again to contact their dealers and schedule a replacement of the passenger air bag, free of charge. owners may contact BMW customer service at 1-800-525-7417 or email BMW at customerrelations@BMWusa.com. 10/07/15 Electrical and Air Conditioning BMW north america, llc (BMW) is recalling certain model year 2012-2015 320i, 320xi, 328i, 328xi, 335i, 335xi, and activehybrid3 vehicles manufactured october 20, 2011, to june 22, 2015, 2014-2015 328xi sports wagon vehicles manufactured march 21, 2013, to march 17, 2015, 2014-2015 328d, 328xd vehicles manufactured june 28, 2013, to april 21, 2015, and 2014-2015 328xd sports wagon vehicles manufactured july 5, 2013, to april 21, 2015. the affected vehicles may have been programmed with new software that inadvertently makes the front side marker lights inoperative in conjunction with the parking lights or the headlights. as such, these vehicles fail to comply with the requirements of federal motor vehicle safety standard (fmvss) number 108, "lamps, reflective devices, and associated equipment." 03/13/13 Electrical and Air Conditioning BMW is recalling certain model year 2008-2012 1-series coupes and convertibles manufactured december 2007 through september 2011; and 2007-2011 3-series coupes and convertibles manufactured march 2007 through october 2011; 2007-2011 3-series sedans manufactured march 2007 through october 2011; 2007-2011 3-series sports wagons manufactured march 2007 through june 2011; and 2009-2011 z4 vehicles manufactured march 2009 through june 2011. in february 2013, BMW recalled 504,545 vehicles. in july 2013, BMW informed the agency that it was adding 1-series, 3-series, and z4 vehicles, representing an additional 12,094 vehicles. the total number of vehicles being recalled is now 516,791. the connector for the positive battery cable connector and the corresponding terminal on the fuse box may degrade over time. over time, the high current flow and heat from electrical resistance may lead to a breakage of the connection, and a loss of electrical power to the vehicle. 02/15/12 Electrical and Air Conditioning BMW is recalling certain model year 2002-2005 325i, 325xi, 330i, and 330xi vehicles manufactured from september 1, 2001, through march 1, 2005. over time, resistance in the electrical contacts may cause one or more rear lamp functions (tail light, brake light, and/or turn-signal), within the vehicle's body panel, to stop working. 09/16/09 Electrical and Air Conditioning BMW is recalling 2,350 my 2008 1-series and 3- series passenger cars. incorrect crimp connectors may have been used on the side air bag and belt tensioner wiring. as a result sufficient contact between the crimp connectors and the corresponding plug may not occur which could lead to an increase in the electrical resistance of that connection. BMW will notify owners and repair the vehicles free of charge. the safety recall began on september 16, 2009. owners may contact BMW customer relations and services toll-free at 1-800-525-7417. 05/05/03 Electrical and Air Conditioning On certain passenger and sport wagon vehicles with automatic transmissions, with the engine running, and the vehicle at rest, an increase of engine idle speed (up to 1,300 rpm) may occur. If a gear is selected, the driver may feel as if the vehicle is being pushed. Dealers will reprogram the digital engine management control unit. owner notification began may 5, 2003. owners who take their vehicles to an authorized dealer on an agreed upon service date and do not receive the free remedy within a reasonable time should contact BMW at 1-800-831-1117. 12/31/69 Electrical and Air Conditioning BMW of north america, llc (BMW) is recalling certain 2006-2011 323i, 325i, 325xi, 328i, 328xi, 330i, 330xi, 335i, 335xi and m3, 2007-2011 328i xdrive, 335i xdrive and 335is and 2009-2011 335d vehicles. the wiring and electrical connectors for the system that controls air flow for the heating and air conditioning system may overheat. 11/03/16 Other BMW north america, llc (BMW) is recalling certain model year 2016 BMW m2 coupe vehicles, 2015-2017 m3 sedan vehicles and 2015-2016 m4 coupe and m4 convertible vehicles. during servicing of the rear differential for a prior service action, the rear sub-frame bolts may have been reused instead of being replaced. reuse of the existing bolts may cause the bolts to loosen. 05/30/12 Other BMW is recalling certain model year 2012 BMW 3-series vehicles manufactured from october 19, 2011, through march 18, 2012, that have front seat head restraints that exceed the downward movement limit of 25mm in the highest position. thus, these vehicles fail to comply with the requirements of federal motor vehicle safety standard no. 202a,"head restraints." In the event of a vehicle crash, the head restraint may unexpectedly move down slightly if it was adjusted to the fully extended position, increasing the risk of personal injury. 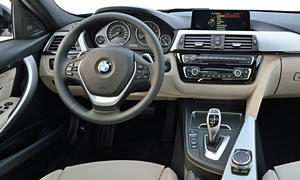 BMW will notify owners, and dealers will attach a clamp to the front seat head restraint posts, free of charge. the safety recall began on may 30, 2012. owners may contact BMW customer relations and services at 1-800-525-7417. 09/16/09 Other BMW is recalling 2,350 my 2008 1-series and 3- series passenger cars. incorrect crimp connectors may have been used on the side air bag and belt tensioner wiring. as a result sufficient contact between the crimp connectors and the corresponding plug may not occur which could lead to an increase in the electrical resistance of that connection. 12/22/00 Other Vehicle description: passenger vehicles. the machine used to mount and inflate the tires on the wheels at the assembly plant may have damaged the inner rim flange of the wheels. This could lead to a sudden loss of air from the tire affecting handling and vehicle control. Dealers will inspect the five wheels for possible damage. if damage from the mounting machine is found on any wheel, all five wheels will be replaced. Owner notification began december 22, 2000.owners who take their vehicles to an authorized dealer on an agreed upon service date and do not receive the free remedy within a reasonable time should contact BMW at 1-800-831-1117. also contact the national highway traffic safety administration's auto safety hotline at 1-888-dash-2-dot (1-888-327-4236).